A last set of photos for 2014 with a visit to Basho Cafe in Hastings-Sunrise that has been serving up what seems like an endless stream of matcha green tea lattes, Japanese lunch sets and baked goods since they opened earlier this year. 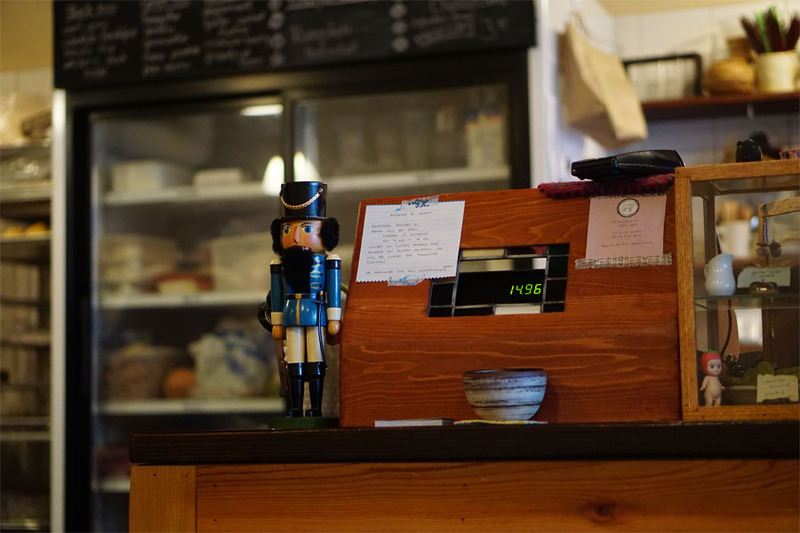 To celebrate their first Christmas, Basho strung up some lights in the front window, a blue wooden Christmas Nutcracker soldier stands guard next to the cash register along with some white ceramic Christmas trees centrepieces handmade by one of the owner. If you enjoy the design aesthetics inside Basho, you can also flip through some newer copies of Japanese magazine Cafe Book that were brought back from a trip to Japan with issues covering Tokyo, Kyoto and Yokohama Kamakura. 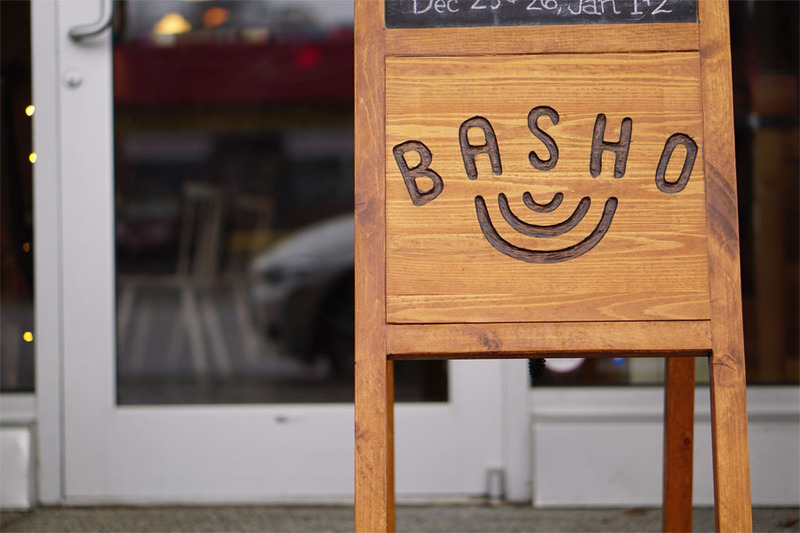 Due to an injury, Basho will return to service after the holidays on January 13th and it will also bring new hours with the cafe opening on Saturdays and closed on Sundays/Mondays.